SHANGHAI, China — Underscoring its leadership in audio technology design and manufacturing, Harman (NYSE: HAR), a leading provider of branded audio and infotainment electronics for the home, the car, and sound professionals, today announced that key Harman products will play a crucial role in the Opening Ceremony for Expo 2010 Shanghai China, which takes place on April 30, 2010, in Shanghai. The ceremonies, which will inaugurate the world’s largest-ever trade fair, where an anticipated 70 to 100 million attendees will view exhibits from over 200 countries during the event’s 6-month duration, will be dramatic, including music, vocalists, dancers and pyrotechnics. The World Expo Opening ceremony, produced by DAE, will be an ambitious, highly coordinated multi-site spectacle with synchronized indoor programs at both the Expo Center and Performance Center and outdoor programs at the Celebration Square and along the Huangpu River. An audience of 40,000 is expected to view these magnificent presentations. To assure that the ceremony will have the absolute best sound possible, the event planners have turned to BSS Audio and Crown Audio, JBL, Soundcraft and Studer to provide the most reliable and advanced audio technology in the world. The technical scale of World Expo 2010 Shanghai is stunning and vast: the sound will need to cover over 3.2 million square feet of event space; 440 channels of Crown amplification totaling 350,000 watts of power as well as nearly 40 miles of fiber-optic cabling will be deployed – its total length can encircle the Tiananmen Square in Beijing 23 times! To meet these enormous requirements, the highly sophisticated Studer Route 6000 audio router’s 1728x1728 I/O capability is more than sufficient to address the 536 I/Os the audio systems will require, including 24 channels of stereo upmixed to 5.1 and 5.1 surround audio downmixed to stereo for the broadcast portions of the shows. The audio will be processed using 165 BSS Audio BLU 160 signal processors, creating a matrix of 660 channels of EQ, delay and dynamics processing. The audio will be delivered to the massive crowds though a number of JBL systems which will include a large distributed system utilizing Control 29AV two-way loudspeakers. The primary loudspeaker system for Celebration Square will include Vertec VT-4889 and VT4880A line array clusters. VRX Series will also be used in some select areas for the ceremonies. BODO, Norway – Bodo, the second largest city in north Norway, and home of the Bodo Kulturhus, is located just north of the Arctic Circle. The Kulturhus, literally “House of Culture,” is a performing arts center known for staging its own theatrical and musical productions as well as being host to touring productions covering a wide spectrum of music and performing arts. The Kulturhus has recently added a Soundcraft Vi6 console to its inventory, with sale and service provided by local sound specialist Lydteamet Bodo. 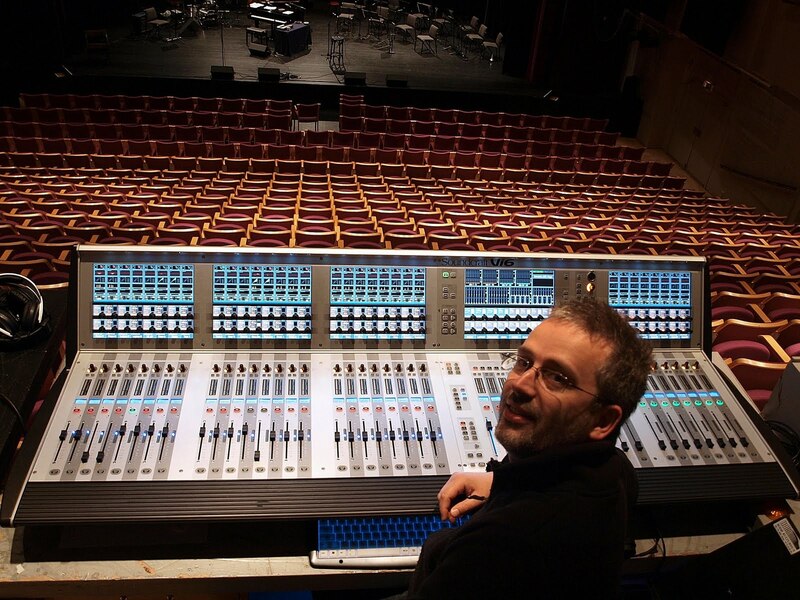 Håvard Christensen, sound engineer at the Kulturhus, explained their decision. “To my eyes and ears, the sound quality of the Vi consoles is unmatched. In addition to this most important feature, the console is proving to be very easy and flexible in use. 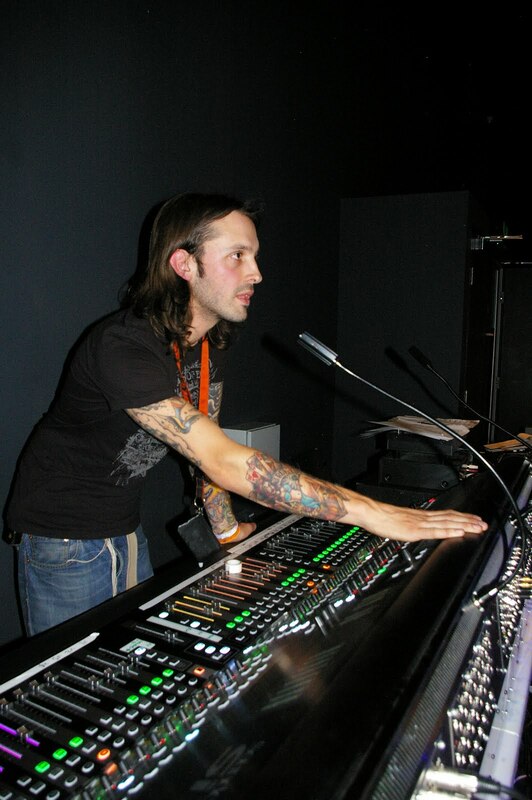 Christensen is an avid sound engineer in both the monitor and FOH positions, and is known for his work on prestigious projects like the Nordnorsk Symfoniorkester and the Festspillene i Nord Norge. Besides holding a permanent position at the Kulturhus he also runs his own production studio. Morten Buvik from Lydteamet Bodo, adds: “Our own Vi6’s have been a great success since we invested in our first console in 2008. The main reason, apart from the obvious requirement for a digital console, was the exceptional sound quality. 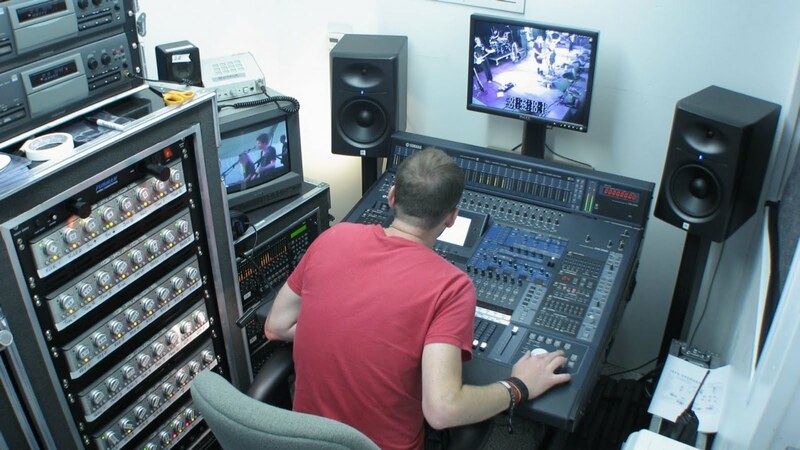 “The consoles have been used on many productions ranging from Opera, to Theater Revue shows and Rock Festivals. “The Vi’s are liked by our own technical staff as well as the guest engineers we supply — so it was almost a logical consequence that the Kulturhus also decided to go the Vi route. 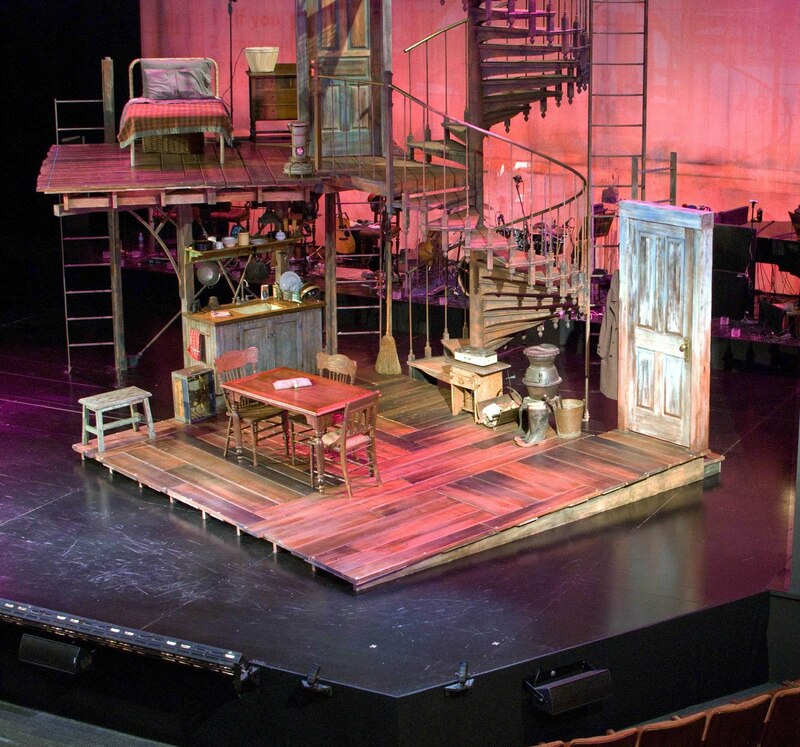 In outfitting San Diego’s Old Globe Theatre for Duncan Sheik’s musical “Whisper House,” the sound design team of Dan Moses Schreier and associate designer David Bullard – who designed the audio for the current Broadway hits Westside Story, A Little Night Music and Sondheim On Sondheim - drew on years of combined experience to select the optimal equipment for every scenario of the complex audio production. 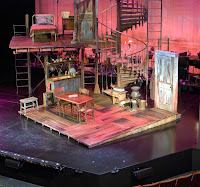 With an on-stage orchestra, a cappella vocal performances, large-group sequences and loud, complicated battle scenes transitioning throughout the entire play, they needed a great sounding audio system that could reproduce it all – from loud, overbearing sound effects to quiet, intimate spoken scenes- and ultimately selected AKG’s frequency-agile DMS 700 wireless microphone system and JBL VRX loudspeakers. Meeting the demand for high-fidelity reinforcement of Duncan Sheik’s score, left and right clusters of JBL VRX932LAP Powered 12-inch 2-way line array loudspeakers were suspended from the proscenium for the orchestra-level audience, and two arrays of VRX928LA speakers targeted at the balcony to provide the perfect amount of coverage throughout. As soon as the JBL speakers were set up, the sound crew noticed the VRX system took the room from acoustically dead to “full and warm.” The VRX cabinets adjustable EQ eliminated the need for additional outboard processing and allowed Bullard to quickly achieve even response and coverage. Four VRX918SP subwoofers, which were mounted in the ceiling, gave more than enough power to produce low frequency impact of Whisper House’s battle scenes. Crown iTech amplifiers powered the JBL speakers , and audio was mixed using a Soundcraft Vi6 digital console outfitted with Lexicon FX6 reverbs and a rack-mounted Lexicon PCM 96 Processor. Bullard and Schreier were able to remotely configure Crown and JBL system components using Harman HiQnet control protocol and Harman System Architect software which greatly enhanced the workflow. JBL VRX Loudspeakers and AKG DMS700 Digital Wireless Microphones bring Duncan Sheik’s Whisper House to life. Hitachi America, Ltd., Digital Media Division, Business Solutions Group is introducing the new CP-X2511 3LCD projector. With a brightness of 2,700 lumens and a 2,000:1 contrast ratio, the CP-X2511 is ideal for medium-size classrooms and boardrooms. The CP-X2511 offers XGA resolution and a variety of features dedicated to easy maintenance. These include a hybrid filter, which requires less frequent cleaning, enabling longer operation. In addition, the lamp door is on the top while the filter cover slides in and out from the front bottom, making maintenance and replacement of these parts easy. The CP-X2511 features 16 Watts of built-in audio and, with its Audio Pass Through function, the projector can output audio in stand-by mode, allowing audiences to listen to external speakers via the projector’s audio output. Moreover, the projector’s Power Saving Mode reduces the stand-by power consumption to 0.5W. The CP-X2511 features a long lamp life of 3,000 hours in Standard Mode and 6,000 hours in Eco Mode. With the CP-X2511’s Input Source Naming function, the projector’s input source name can be changed to the name of a device (e.g. desktop PC, DVD, etc.) instead of default names. Also, when projecting onto a whiteboard or blackboard, the CP-X2511’s Template function projects lines, making writing on the board easier. Users can choose four types of lines: black lines on a white background, black lines on a white grid, white lines on a black background or white lines on a black grid. Closed Captioning functionality is also available with the CP-X2511. Designed with security in mind, the CP-X2511 is equipped with a security bar that allows the attachment of a security chain. The MyScreen function can be used to identify the owner and is also protected by a PIN Lock. Lastly, the CP-X2511’s Transition Detector can prevent unauthorized use of the projector. Hitachi America Ltd., Business Solutions Group markets LCD projectors, interactive panels and whiteboards and security and observation system products through value added resellers, system integrators, distributors and OEM. In a move to drive growth in China and increase its support of customers and channel partners in the Chinese market, Harman Professional today appointed three veteran audio executives to its sales team in Shenzhen. All three appointees will work closely with existing partners in China and with Harman’s brand-level sales and engineering teams to develop the company’s market presence in China including developing market communication, product development and sales and support. Vinne Peng joins Harman as Marketing & Communications Manager, having previously served the same role with Artsound International representing Sennheiser in China. Prior to her marketing role, Vinne handled sales for Sennheiser in China. Vinne holds a degree in English and is studying for a BSc. Marconi Lee brings to the Harman China team significant experience from the commercial and pro audio markets as well as the conference and PA system markets, having previously worked with TOA China and Bosch Communications. Marconi holds a degree in business administration. Jack Wu has most recently served as Business Development Manager with TC Group China with focus on TC Electronic, LAB Gruppen and LAKE. Before joining TC, Jack was employed by Prime Connections, handling both pro audio and cinema sales, with focus on QSC products. Jack holds a bachelors degree in electronics. NORTHRIDGE, California – JBL Professional rocked the audio industry today with the introduction of its highly evolved PRX600 Series active portable loudspeakers. The new PRX600 Series offers unparalleled power, rugged durability and incredible versatility for any small to mid-sized live sound environment. The new PRX600 Series comprises four full-range cabinets (PRX612M, PRX615M, PRX625, PRX635) and two subwoofers (PRX618S and PRX618S-XLF). Utilizing tour-tested JBL Differential Drive® speaker technology, dbx® Type IV™ limiting circuitry and Crown® award-winning class-D amplifiers, the PRX600 Series delivers uncompromised performance in a package that is light, small and professional in both function and appearance. At the core of the PRX line is a fully integrated DSP input section providing mic/line level input, selectable system EQ and a premium A/D converter for a maximum signal-to-noise ratio. In addition to Crown amplifiers, the PRX600 Series loudspeakers utilize new, ultra-low noise A/D converters that reduce idle noise and improve the overall spectral balance and audio performance of the speakers. The entire line has been re-voiced for better clarity and tone and, with the addition of a new, professionally discrete appearance and strategically located M-10 suspension points on the full-range cabinets, the PRX600 Series is ideal for installation in any commercial facility or house of worship. The new models are at least 15 percent lighter and 20 percent smaller than their predecessors, making them the “performance-to-weight” ratio leaders in their class. In addition to meeting the performance requirements for the PRX600 Series, JBL accepted a new challenge to meet Harman’s “Green Edge” promise of being environmentally responsible. The new speakers require less wood and less plastic than their predecessors, use less energy to build and will use less fuel (due to the lower weight) to transport than previous models. All PRX600 Series loudspeakers include: proprietary JBL Differential Drive® neodymium woofers; powder-coated, obsidian, 16-gauge perforated steel grilles; obsidian DuraFlex™ finish; integrated handles with backing cups; commercial-grade, lightweight, multi-layer, 18 mm plywood cabinetry; tongue and groove construction; dual 36 mm pole sockets on the PRX612M and PRX615M; single 36 mm pole sockets on the PRX635/PRX618S; and an M20 pole socket on the PRX618S-XLF. Demonstrating its leadership in the education of amplifier network design and implementation, Crown Audio, today announced it will host a series of training seminars during InfoComm 2010. Crown Training room (ROOM N120) will showcase four seminars daily, on June 9th-11th and feature experts in all phases of system development and implementation. Registration is available online at http://www.crownaudio.com/seminar.htm <http://www.crownaudio.com/seminar.htm> . Thirty-year veteran A/V architect J. Mark Chapman will demonstrate basic design principles and considerations that all houses of worship, from small to large, have in common. Identifying pitfalls and mistakes before they occur are key steps to ensuring ultimate sound after installations. Chapman has more than19 years of experience as a Crown audio technician, with concentrations in designing systems for live, corporate, studio and houses of worship. Bradford Benn, Director of Application Engineering at Crown Audio, brings 20 years of audio installation, design, project management, documentation and sales to define and guide users through the development and creation of a custom user interface. Responsible for development and use of the Harman HiQnet™ System Architect™ software, Benn will drive home the point of creating a navigation structure that will greatly improve workflow, while saving companies time and money. Amplifiers are far more complex today, working more intricately with sound than simply making it louder. Musical engineer Kevin Heber brings a background of automotive design and tuning, DSP, acoustics and digital communication to showcase the technological wonders of Ethernet communications that keep full systems running smoothly and effectively with minimal oversight. Field Support Engineering Manager for Crown Audio, Zeb Wall, will discuss the importance of audio for restaurants and clothing stores in attaining the desired atmosphere. Basics of the commercial sound design market will give attendees the confidence to meet the design requirements for any retail or eatery establishment. Wall’s training as an electrical design engineer coupled with his first-hand experience with large installations gives him ideal perspective in product and application standpoints. Harman will also be giving away a $15,000 home theatre system during InfoComm. Entries can be submitted at the Harman booth or at any of the seminars listed above. The system will comprise a Lexicon RV-5 A/V receiver, a Lexicon BD-30 Blu-Ray Player and a JBL LS 7.1 Speaker Series including LS Center, LS120P subwoofer, four LS40 bookshelf speakers and two floor-standing LS80 speakers. Canadian-based A/V service provider Axe Productions recently deployed a complete JBL VERTEC® line array system in the Edmonton, Canada Shaw Conference Center to support the 2nd Annual K-97 Classic Rock Riot. The production, which featured a performance by former Bad Company front man Paul Rodgers, marked the first implementation of the company’s new VERTEC system. "Professional, regional event companies like Axe Productions are a strong part of JBL's worldwide VERTEC owners' network," noted David Scheirman, Vice President, Tour Sound for JBL Professional. "Having a top-tier line array system in-house and ready to serve the rider requirements for major touring acts is a significant asset for any qualified regional production company." For more information on Axe Productions, visit http://www.axeproductions.com. Graham Blyth, founder of Soundcraft in 1973, Fellow of the Royal Society of Arts and Fellow of the Audio Engineering Society, will perform his 32nd concert recital for the AES on Saturday 22nd May at 8 PM at Temple Church, (http://www.templechurch.com) built by the Knights Templar, located near Fleet Street / Embankment in London. Today, Graham is Technical Director at Soundcraft Studer’s headquarters in Potters Bar and remains one of the world’s most respected audio designers, with a string of leading products to his name. These include the first flight cased touring console--the Soundcraft Series 1--in 1975, the Series 5, MH and GB ranges, through to today’s leading tour and installation range of Vi Series digital consoles. Graham is widely recognised for the easy-to-use, intuitive user-interface of his consoles as well as the audio quality driven through his many innovations including a range of superb GB mic pre-amplifiers and the ‘British sound’ of the GB30 EQ. 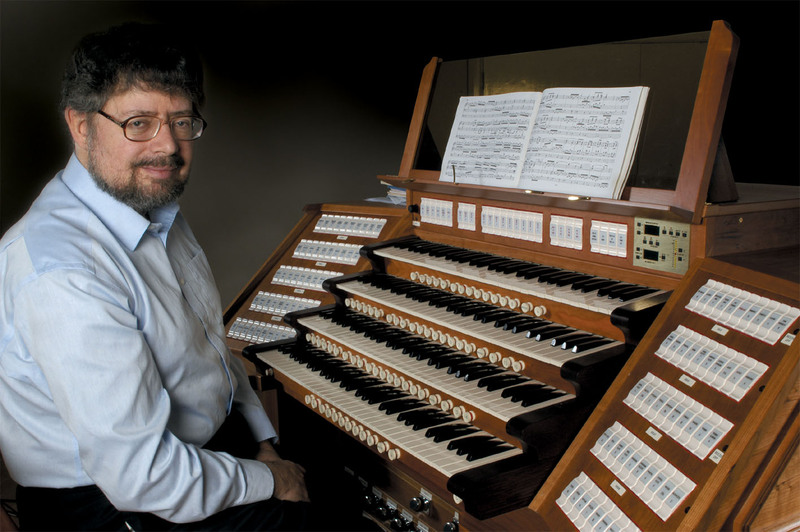 What many people don’t realise is that Graham is a world-renowned organist and has played this complex instrument in famous churches all over the world as part of the AES’s programme of annual events since 1993. The 2010 Coachella Valley Music and Arts Festival in southern California was once again an overwhelming success, drawing a record attendance of 225,000 people over a 3-day span. At Coachella’s Mojave Stage, Ian C. Charbonneau of Le Mobile Remote Recording relied on JBL LSR2328 studio monitors to mix a roster of top artists for live webcast. 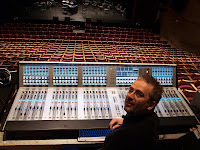 To that end, Charbonneau selected a stereo pair of JBL LSR2328 studio monitors as part of his setup at Coachella, having first used them when recording the Andrea Bocelli and David Foster “My Christmas” concert at the Kodak Theatre in Los Angeles, which aired on PBS television on November 26. In addition to Arifin, the team will include three other Sales Coordinators who will each be responsible for managing a different region of the country. Yuki Wan will be responsible for the order processing in North Asia and China; Saravanan Rathananthadevan handles the Central Asia region that includes India; and Jackie Lee is in charge of the order processing in the South Asia region. All four members of the team have extensive SAP and customer service experience, which has already allowed them to make an immediate impact with the team. HARMAN (www.harman.com >) designs, manufactures and markets a wide range of audio and infotainment solutions for the automotive, consumer and professional markets – supported by 15 leading brands including AKG®, Harman Kardon®, Infinity®, JBL®, Lexicon® and Mark Levinson®. The Company is admired by audiophiles across multiple generations and supports leading professional entertainers and the venues where they perform. More than 20 million automobiles on the road today are equipped with HARMAN audio and infotainment systems. HARMAN has a workforce of about 11,000 people across the Americas, Europe and Asia, and reported sales of $3.2 billion for the last twelve months ended March 31, 2010. The Company’s shares are traded on the New York Stock Exchange under the symbol NYSE:HAR. Now in its ninth year, City Showcase took place for the first time this month at the British Music Experience (and other venues within London’s O2 Arena complex) over a 4-day period. With a reputation for showcasing new talent, City Showcase is a not-for-profit company whose aim is to help unsigned acts make it in the commercial world of today’s music industry. The X103 glasses are designed to work seamlessly with 3D-ready LCDs, DLP and plasma displays, making 3D more accessible and affordable than ever before. The new XpanD X103 active-shutter 3D glasses are available in a variety of colors, allowing users an unprecedented freedom of expression never before possible with 3D glasses. CANNES, France – The 3D revolution is underway with XpanD leading the charge, unveiling its X103 active-shutter glasses that not only surpass previous standards of quality for 3D consumers, but offer a sleek, stylish appearance that is unprecedented for 3D glasses, bringing a new level of immersive viewing to the game room, the boardroom and even the runway. With the XpanD X103 glasses, anyone can experience the most engaging and dynamic 3D technology available in virtually any environment—and look good doing it! With manufacturing facilities in Asia, Europe and North America, XpanD’s global reach has accomplished two key economic achievements: XpanD now sells over 2 million of its stylish, eco-friendly, and completely immersive X101 3D active glasses to cinemas each year; and that has enabled the company to make the 3D glasses affordable for cinema owners and home users while providing 3D quality that was originally available only at a professional cost. XpanD has the extraordinary combination of experienced and visionary leadership, state-of-the-art technology, and economies of scale that will provide a backbone for the cinema and consumer electronics industries as they further transition into the 3D future. X6D Limited is a global company whose products and services are marketed under the XpanD brand name. XpanD was created by industry veterans in theatrical exhibition, entertainment, film production and distribution, and specialty film and digital technologies and is funded by a European investment fund. XpanD technology is used by over 2,700 3D cinemas in more than 50 countries and is the default 3D solution for post-production houses, educational and professional 3D applications. XpanD designs, manufactures and OEMs a range of consumer electronics 3D solutions. Lexicon®, a Harman International Company (NYS-HAR), has announced its latest software update with Mac OS X 10.6 Snow Leopard compatibility for the PCM96 and PCM96 Surround Reverb/Effects Processors. In addition, the release updates the networking stack and audio drivers which increases performance and stability, and reduces the latency when controlling the processors through the plug-in interface and streaming audio over FireWire. For more information on the software update, visit the download section of the Lexicon website (www.Lexiconpro.com) and sign up for the PCM96 and PCM96 Surround software update notification. 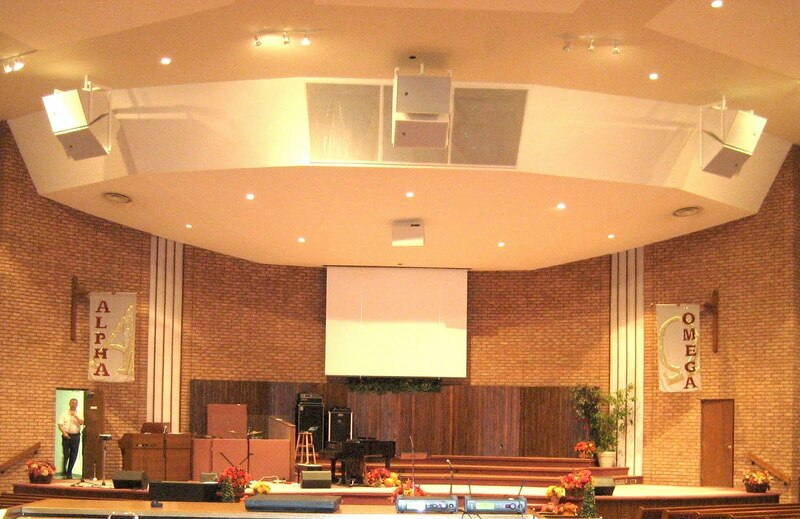 After a thorough investigation of the layout and worship services at Community Pentecostal Church in Ottawa, Ontario, Canada, A/V design company Audio Plus Sound Solutions Inc. upgraded the church’s audio system with JBL loudspeakers, chosen for their ability to deliver solid clarity and strong acoustic gain. Electing to install three clusters of PD series loudspeakers, Audio Plus was able to cover an additional 20 percent of the seating area for the 1,000-person congregation, providing the church with a sound system that was both versatile and extremely powerful. Before the Community Pentecostal Church hired Audio Plus for the upgrade, its system was falling apart, according to System Engineer Brian Davis. The original component JBL loudspeaker system was still operating but it didn’t cover the entire audience or offer reasonable intelligibility because of design oversights, and the concrete at the center of the room made implementing new communication technology very difficult. What’s more, the older acoustic repairs didn’t leave the room performing well enough for good speech intelligibility or music clarity. Audio Plus was founded in 1992 in Lindsay, Ontario, Canada. Located in the heart of Ontario, the company’s main work was live sound production for Christian events such as Women Aglow, regional Promise Keeper conferences, concerts, and other evangelical outreaches. In 1996, the company started focusing on permanent sound system installations, a natural extension to live church audio needs. Since then, Audio Plus has successfully designed and installed sound, video and acoustic systems in churches across Ontario, Western Quebec and in New York State. When necessary, acoustical design principles were used to solve existing acoustical problems. The company has provided stage sound, and video and lighting productions for both the National Convention and Fellowship Baptist annual business meetings. CHULA VISTA, California, May 12, 2010 — In an effort to reinforce its dedication to providing the best customer service in the industry, Hitachi America, Ltd., Digital Media Division, Business Solutions Group has appointed Andrew Mulazzi and Edgar Jimenez to the newly created positions of east zone manager and west zone manager, respectively. Mr. Mulazzi takes on the role of east zone manager and has been with Hitachi for more than 10 years. He joined Hitachi in November 1999 as the national sales manager for the company’s Computer Products Division. In 2004, he was appointed business development manager for the Digital Media Division, a position he held until moving to his current role. Mr. Mulazzi holds a Bachelor of Arts degree from the University of California, Santa Cruz. Mr. Jimenez joins Hitachi with more than 17 years of experience in the audio/video industry. He earned an MBA degree from Pepperdine University in 2000, completed his Masters Degree in Project Management at DeVry University Keller Graduate School of Management in April 2010, and he brings highly refined skills in sales and product management to the company. In both positions, each zone manager will oversee Hitachi’s regional sales managers within their respective zones and drive projector sales, while also leveraging Hitachi’s channel partners. Both zone managers are also responsible for establishing a stronger brand presence within and outside of Hitachi’s account dealer base. 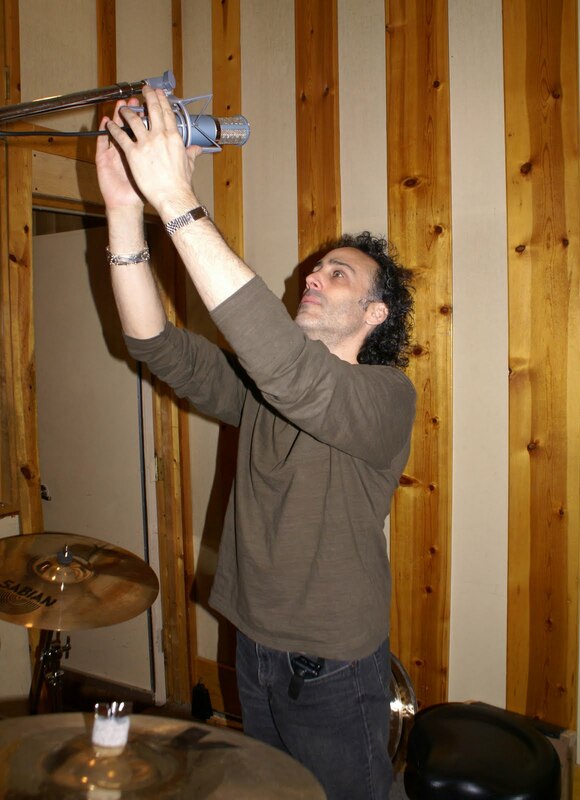 With a 30-plus year professional career as a drummer, engineer and producer, Jonathan Mover has been creating award-winning music with a variety of artists, such as Aretha Franklin, Joe Satriani, Shakira, Alice Cooper, Julian Lennon and Fuel to name a few. Additionally, as the owner and operator of Skyline Recording Studios NYC, Mover has had the opportunity to use the market’s best available equipment. It is here that he continues to work with the world’s top musicians using an array of progressive audio technologies that includes two AKG Perception 820 Tube microphones. Hosting a wide array of musical styles, including Mariah Carey, Billy Joel, Patti Smith, Flo Rida, Jessica Simpson, Gov’t Mule and more, Mover makes certain to outfit Skyline with equipment that is versatile enough to use in any recording situation. With his Perception 820 Tube microphones, Mover says that he is able to install the microphone and keep it in place, while controlling it from the remote unit—regardless of the musician, instrument or application. 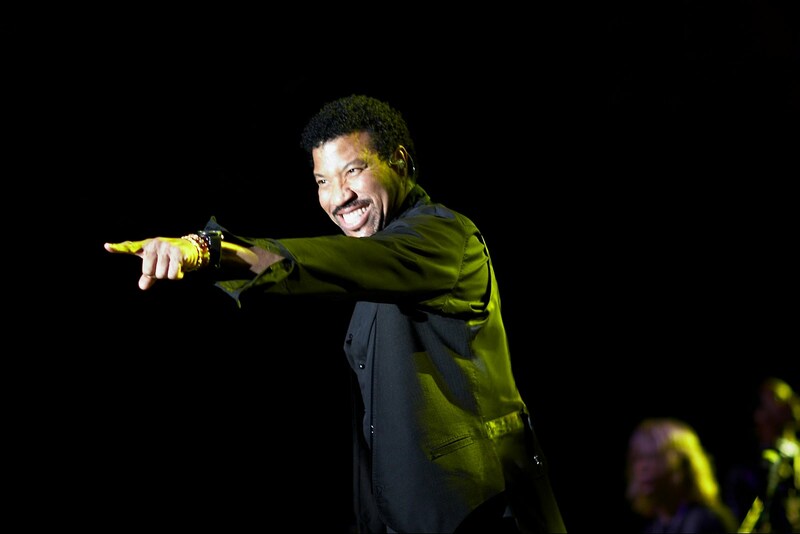 Premier Sound Services of Baton Rouge, Louisiana recently provided the sound reinforcement system for a Lionel Richie concert as part of the Our Lady of the Lake Foundation’s 25th anniversary benefit gala. The system featured a variety of audio products from Harman Professional, including a Soundcraft Vi6 digital console at the front-of-house position. The concert took place at the Baton Rouge River Center and served to raise money for the Our Lady of the Lake Regional Medical Center. The main PA system included 12 JBL VERTEC® midsize line array elements per side, eight VT4887 compact line array elements per side for out fill, with six VT4886 subcompact line array elements as front fill, with two arrays of four VT4886 loudspeakers with two VT4883 subcompact arrayable subwoofers each for side fills. Crown I-Tech 8000 amplifiers powered the VT4888 and VT4887 line arrays, while I-Tech HD amplifiers powered the VT4886 loudspeakers. 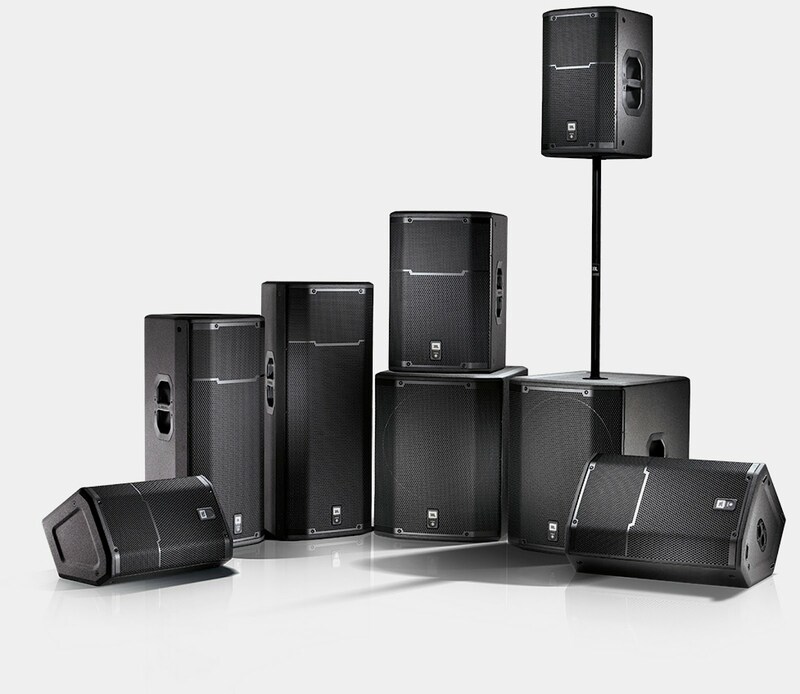 In addition, PSS deployed 16 JBL SR712M stage monitors, along with four VT4886 loudspeakers and two VT4883 subwoofers as drum wedges. The system was configured and controlled via Harman’s HiQnet™ System Architect™. With a growing business and an increasingly diverse array of projects, PSS also recently purchased a set of 48-channel Soundcraft Si2 consoles, largely on the strength of its success with the Vi6. “I think the Vi6 is ideal for just about any event, we’ve used it for rock shows, festivals, conventions, you name it,” Bryant added. 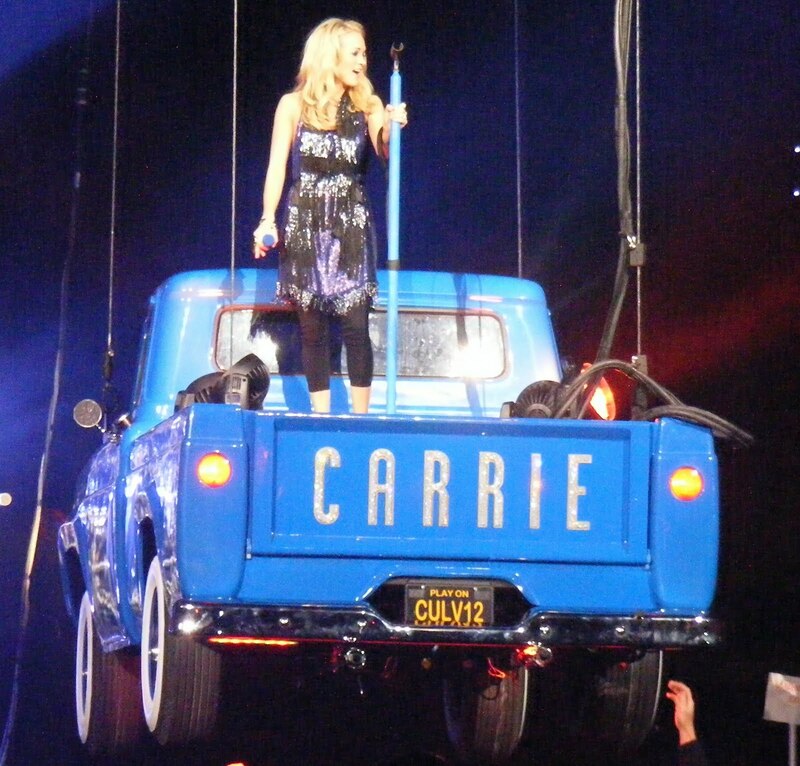 Leading sound company Clair is providing live sound reinforcement for Carrie Underwood’s current North American tour, with a Studer Vista 5 SR digital console handling front-of-house duties. A previous winner of American Idol, Underwood is one of country music’s biggest stars and recently earned Entertainer of the Year honors from the Academy of Country Music for the second year in a row--the only woman to ever accomplish that feat. With unrivaled technology supporting a massive collection of talent, Carrie Underwood’s tour has been an overwhelming success to date. “The crowds have been fantastic,” Lane adds. “The first few shows were in smaller venues and in the fall, the tour plans to move to the larger arenas. Lane also credits his colleagues for the tour’s success, including: Bret Stec, Audio Crew Chief; Ben Rothstein, Audio Technician; and Ariel Gendler, Audio Technician. CHULA VISTA, California, May 4, 2010 — Hitachi America, Ltd., Digital Media Division, Business Solutions Group continues its commitment to improving system management and communication with the introduction of several networkable 3LCD projector models. The new CP-X4011N, CP-X3011N, CP-X2511N and CP-X2011N feature networking technology that enables users to share data between multiple projectors. The four new projectors also make it easy to send images from one or more networked computers. In addition, Hitachi’s Messenger function enables users to transmit text data to any or all projectors on the network. This is an easy and efficient way to send announcements, such as campus notifications, school activities and daily schedules. The CP-X4011N, CP-X3011N, CP-X2511N and CP-X2011N also include new features such as a USB connection, allowing users to quickly and easily display content from a PC via a USB cable. 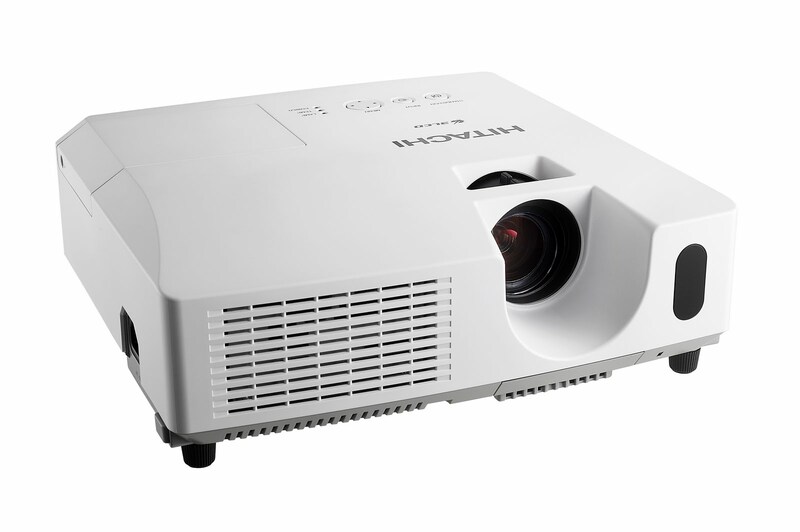 Also new to Hitachi, the projectors are equipped with a microphone input which, in conjunction with two built-in 8W speakers, can be used for audio purposes, even when the projector is in standby mode. All four projectors feature an HDMI input terminal for receiving digital video signals. By keeping the signal in the digital domain, the projector delivers high-quality images that are faithful to the original signal. The projectors also offer easy maintenance, with features that include a hybrid filter, which requires less frequent cleaning, making longer operation possible. The lamp door of each projector is on the top, while the filter cover slides in and out from the front bottom, simplifying maintenance and replacement of these parts. The CP-X4011N, CP-X3011N, CP-X2511N and CP-X2011N are also designed to conserve energy, as the Power Saving mode found in each projector reduces standby power consumption to less than 0.5W. “These four new models, with new features and improved networking capability, represent our dedication to simplifying operation and facilitating communication in environments that rely on sharing information,” said John Glad, product manager, Hitachi America, Ltd., Digital Media Division, Business Solutions Group. Hitachi America, Ltd., headquartered in Tarrytown, New York, a subsidiary of Hitachi, Ltd., and its subsidiary companies offer a broad range of electronics, power and industrial equipment and services, automotive products and consumer electronics with operations throughout the Americas. For more information, visit http://www.hitachi-america.us. For information on other Hitachi Group companies in the United States, please visit http://www.hitachi.us.